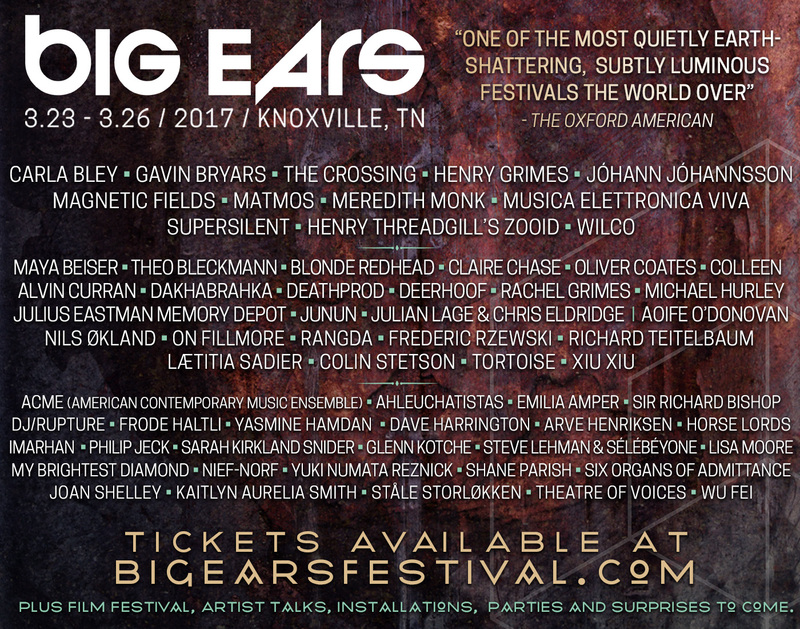 Big Ears festival in March 2017! I’m so so thrilled and excited to let you know that I’ll be playing at Big Ears festival in Knoxville, Tennessee, next March! In fact I don’t think I’ve ever been this excited about playing at a festival: look at the line up and you’ll see why, it’s definitely one of the best festival line-ups I’ve ever seen! You are currently reading Big Ears festival in March 2017! at colleen.